Southwark Council wanted a high profile, hard-hitting and informative campaign aimed at raising awareness of the improvements the council has made to their environment - Southwark is now is the fourth cleanest borough in London - and to challenge residents and stakeholders to support further improvements. Haime & Butler came up with a campaign that worked hard and perfectly summed up the message we were aiming to get across. Our 'No Messing' solution successfully informed, engaged and involved the borough's residents in tackling envirocrimes and promoting the borough's parks and open spaces. The three phases of the campaign involved adshels, posters, postcards, banners, TV stills, adverts and fridge magnets. Raised awareness of the improvements and positive results of the council’s investment and driven up the residents’ level of satisfaction. 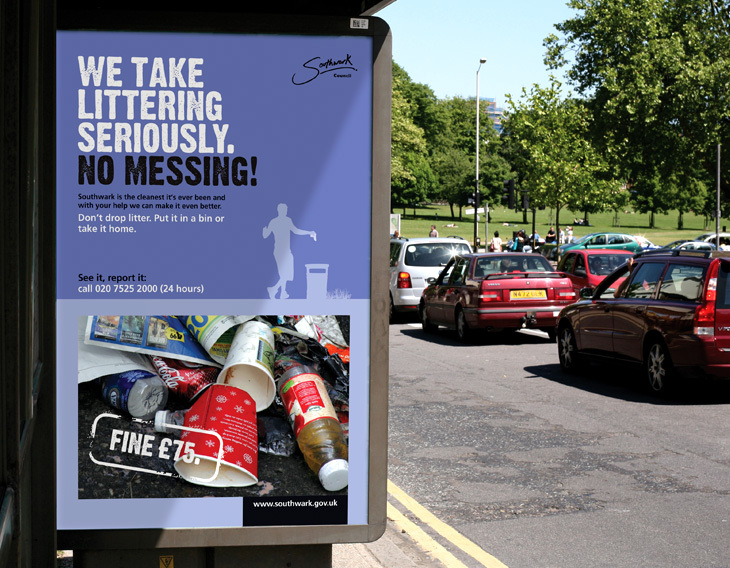 The main focus of the campaign was how to communicate the messages in a no-nonsense, direct style. Raising awareness of how far the council has come - from fourth dirtiest to fourth cleanest borough in London. Educating residents on envirocrimes, what they are, how they can be reported and enforced. 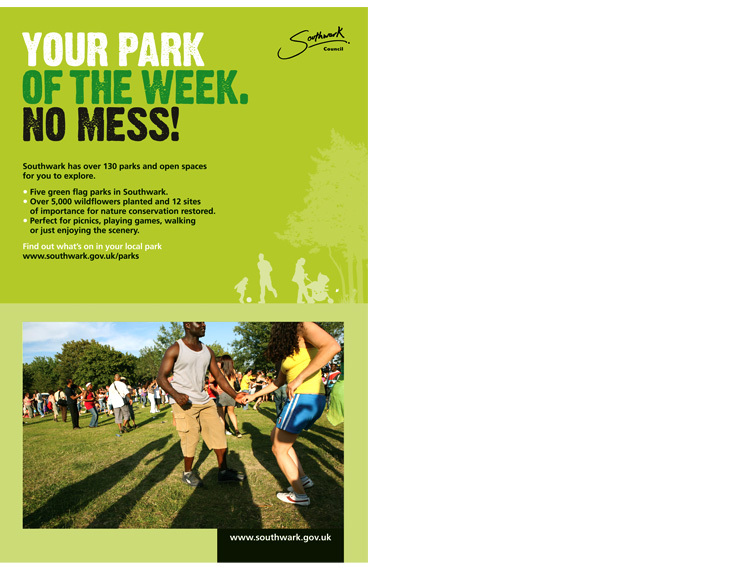 Encouraging residents to enjoy and care for Southwark's parks and open spaces and how to use them responsibly.